It was probably three or so decades ago that I first came across the contention that the Fourth Gospel (normally attributed “according to Saint John”) originates with Mary Magdalene. And also recently, I came across this article by Ramon K. Jusino suggesting that, perhaps, Mary Magdalene is the anonymous unsung voice of the Beloved Disciple of the Fourth Gospel and, therefore, its primary author. After being told by Mary Magdalene that the body of the Lord was missing, Peter and the disciple whom Jesus loved run to the tomb to find it so – followed by Mary Magdalene standing by the tomb weeping. (John 20:1-11). Ramon Jusino’s article works through the use of male pronouns and having Mary Magdalene and the Beloved Disciples seeming to be two separate persons in the same scene. In any case, would it feel any different if this gospel has Mary Magdalene as its primary author? There have been suggestions that other parts of the scriptures were produced by women. What difference might that make? To you? There is quite a bit of competition for the honour of being the Beloved Disciple: John the son of Zebedee; another John; another so far anonymous disciple; Lazarus and now Mary Magdalene. Oh, and not to forget the Beloved Disciple as a kind of composite figure, aka the Ideal Disciple, who is not any single, actual human being. Great observation, Peter! Thanks; made my day. Easter Season Blessings. Classic Peter . Interesting stuff. It never fails to amaze me just how much we are unable to know! There does seem to be some evidence that the community of the beloved disciple was less patriarchal; I think my friend Barbara Reid OP has written on this. Unfortunately, as time went by, the early Church was unable to resist the temptation to adapt the radicality of the gospel to prevailing social norms and prejudices. We are still enmeshed in the fallout from all that. St Mary Magdalene, pray for us! The fact remains that the quoted passage (and other sources) does strongly suggest that there were only the three women present with Jesus. The wording would seem to say that Mary Magdalene was the disciple whom he loved and who he asked to look after his mother. Then the wording suddenly introduces a male presence and twists the narrative to make it sound like this male disciple is the beloved one. In short, the text doesn’t make sense since there were said to be just the three women present. What it reeks of is later changes to the text by someone conflicted about changing the original wording and deciding to do the very minimum change possible to imply the beloved disciple is not Magdalene. Hence we end up with this miss-match of words that cries out as having been tampered with. This isn’t a story that I have heard before. But than, I haven’t been researching the history of that particular Gospel deeply. I preached on the story of Mary being the first to find the Empty tomb and her encounter with Jesus in the Garden. In some way the Gospel points us to her as the first evangelist as she ran and told the disciples of her meeting Jesus, and Peter and John are pictures running to confirm her story of the empty tomb. The historic context points us towards the male primacy in the culture of the time, so perhaps we should expect that Mary (and other women) are treated differently than the male disciples, however the idea that she was a fallen women and has been pure speculation, as the Church, male dominated chose to portray her in that way. Off course, we are separated from the story by over 2k years, and have no direct evidence, apart from the Gospels for any of this. I tend towards viewing Mary as being the Sister of Martha, two strong women, who followed and supported Jesus in his teaching and ministry, so perhaps she might have contributed to John’s Gospel, and we’ll only know the truth of that when all is revealed when we meet them all when the New Kingdom of God becomes reality. Thanks, Ernie. It is interesting how you read back into the text things that are not actually there – you say “Peter and John are pictured running to confirm her story of the empty tomb” when the text does not mention the name “John”. 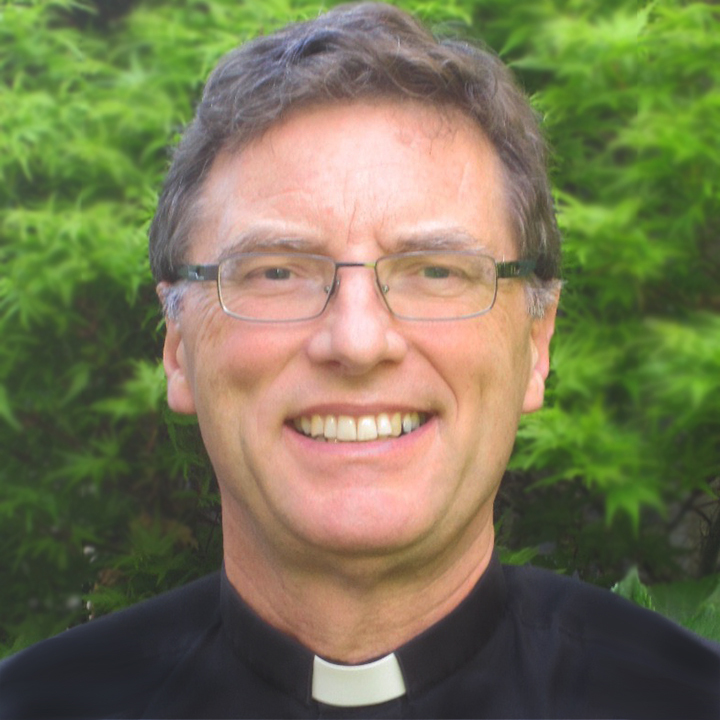 Peter Carrell has already mentioned the theory that the Fourth Gospel originates with Lazarus. This has credence because the first mention in this gospel of one whom Jesus loved (John 11) explicitly refers to Lazarus. If Mary Magdalene is his sister, as you suggest, there may be even more going on – some sort of shared authorship. Easter Season Blessings. Richard Bauckham (2017, Jesus and the Eyewitnesses, 2e. Eerdmans – https://www.eerdmans.com/Products/7431/jesus-and-the-eyewitnesses-2nd-ed.aspx). builds a strong case that the four gospels were stringently and systematically based upon the testimony of those who were eyewitnesses of Jesus, not on lesser or later sources. It seems obvious that Luke depended heavily on female testimony for important parts of his narrative, and it should therefore be easy for all of us to acknowledge that women were, in that way, part of the apostolic foundation of the Church, and to honour them as such, and it shouldn’t surprise us if we find female-sourced stories in the other gospels, too. However, I don’t think that Bauckham would support the idea that Mary Magdalene was the principal eyewitness behind John’s gospel. He makes a case that the principal source for the gospel is obliquely revealed by an inclusio, John 1:37 and 21:24, following a pattern that he thinks he also detects in Matthew and Mark, and which can also be seen in classical biographical works from that era. (By the by, that leads Bauckham to believe that Matthew/Levi is indeed the principal source for the first gospel, and Peter for the second). As you would agree, John 21:24 asserts that “the disciple whom Jesus loved” is the gospel’s author, but if that passage concludes an inclusio whose complement is 1:37, that rules out Mary. 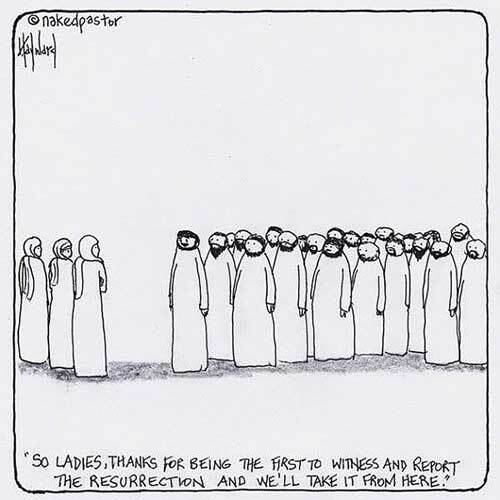 So: no problem in principle with the idea that Mary Magdalene might have authored a gospel, but—if Bauckham’s hypothesis is right—she probably didn’t. Thanks for bringing Bauckham into this discussion, Trevor – a favourite author of mine. Bauckham holds that the author was a John (“John the Elder”), John being one of the commonest of Palestinian Jewish names, who is not one of the Twelve, not one of the itinerant disciples, but a disciple resident in Jerusalem, who hosted the Last Supper, and took the mother of Jesus into his Jerusalem home. Easter Season Blessings. The preserved, recorded word – subject, yes, to variants through the centuries – to my mind needs to be received without a gender-biased point of view in either direction. That being said, the value of scripture is not how I ‘feel’ or perceive the authorship except as it points to the ultimate author. Which excludes gender preference. When I don a hat or pair of gloves, it doesn’t occur to me to wonder the gender of whoever executed the design. Likewise, those ‘inspected by No. 16’ in a pair of trousers does not impact the fit by gender influence. Thanks, Lyn. I don’t think that everyone sees things as you do. In my experience, there are large sections of Christianity where a woman may not teach a man; where a woman may not teach in a mixed-gender group. Just as one example, I think that people from that part of Christianity may not be so enthusiastic at the thought that parts of the Bible are the teachings of women. Easter Season Blessings. What if Mary Magdalene was the same person as Mary of Bethany and therefore the sister of Lazarus and if Lazarus wrote the fourth gospel, maybe that’s why we could also see Mary as the author. Maybe these two collaborated and wrote it together? Thanks for that, Patricia. This dovetails in well with some of the other discussion in the thread. Easter Season Blessings.